California Gov. Gavin Newsom on Monday announced the withdrawal of National Guard troops from the border. While 260 will be pulled from the border, roughly 100 will remain to combat drug and gun smuggling, as well as work on wildfire prevention. The decision, which follows a similar move on Wednesday by New Mexico Gov. Michelle Lujan Grisham, is a sharp rebuke to President Trump's border policy. Trump, who was in El Paso on Monday for a rally, did not address Newsom's decision. 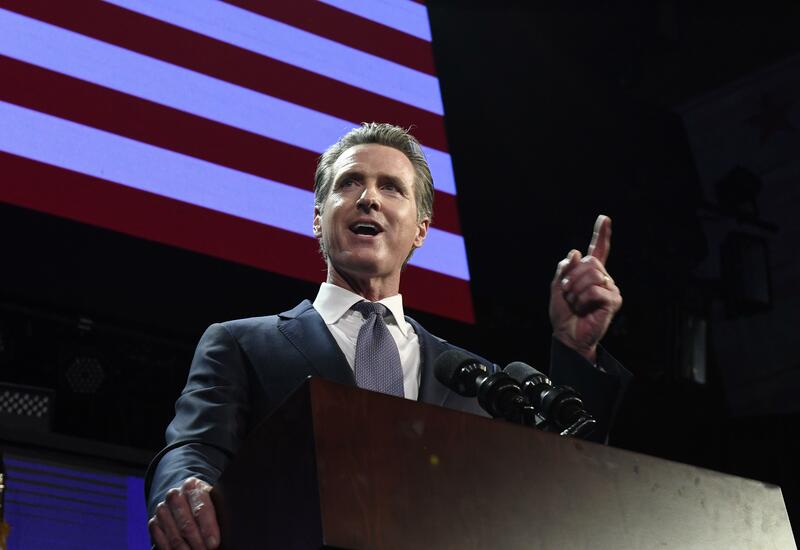 Newsom is expected to repeat this stance at Tuesday’s State of the State address, as well as expand upon his proposed state budget, which includes funneling millions of dollars into housing and assisting California’s homeless population. The move to rescind troops is a reversal of the decision made by Newsom’s predecessor, former Gov. Jerry Brown, who sent border troops but would not have them enforce immigration laws set by the Trump administration. Newsom's move to rescind troops stands in direct opposition to the White House’s demands for more border security, which has culminated in Trump sending over 5,200 troops to the Southern border in October. Earlier this year, Trump announced his intentions to send additional military personnel in an effort to string up 160 miles worth of concertina wire on top of existing fencing. Newsom’s decision also comes in the wake of Texan authorities being sent to a port of access located in Eagle Pass, Texas, where 1,800 members of a migrant caravan have been detained in a nearby abandoned plant facility located across the border, near the city of Piedras Negras, Mexico. In addition to 500 officers sent last week from the department of public safety by Republican Texas Gov. Greg Abbott to Eagle Pass, another 250 active-duty military troops were directed to the border. Shutdown Could Hurt Trump's High Disapproval Ratings.